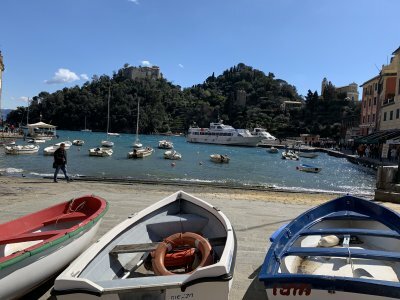 Portofino is on the Italian Riviera located 22 miles from Genoa, 3 1/4 miles south of Santa Margherita Ligure, 160 miles from Milan and 301 miles from Rome. 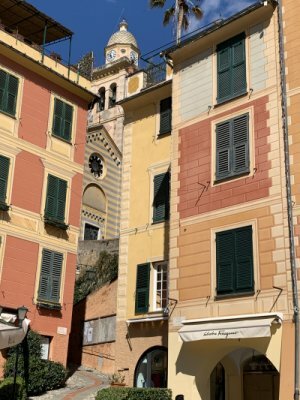 There is a road runs between Santa Margherita Ligure and Positono and there is also a ferry from Santa Margherita that goes there. 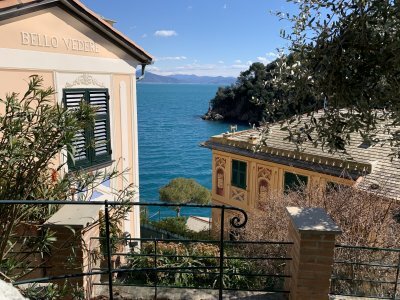 It became famous when celebrities discovered the small town. 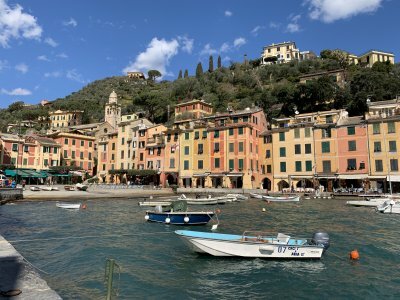 Portofino - photo by Steve Meyers. The harbor with Castello Brown up on the hill (16th century). “Enchanted April” was filmed at the castle. 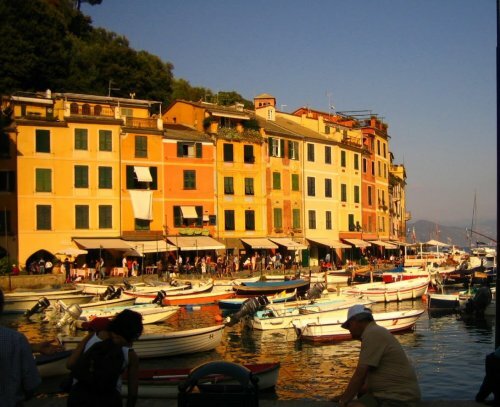 The harbor and looking towards Piazza Martiri dell’Ollvetta. 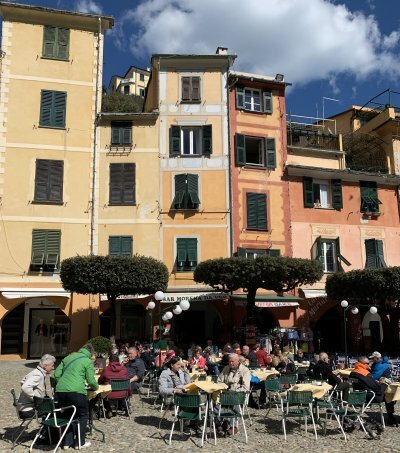 Portofino has very narrow streets and many are uphill. 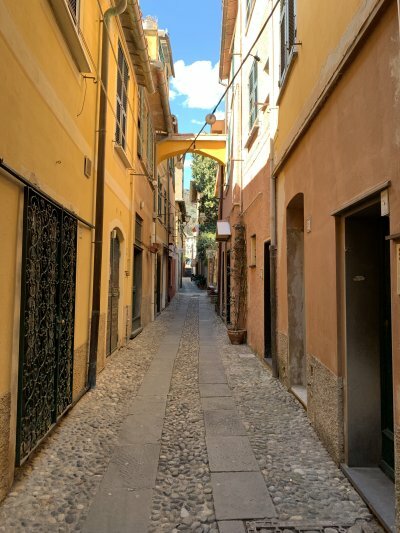 A narrow street goes from Piazza Martiri dell’Olivetta and leads up to San Martine Church. 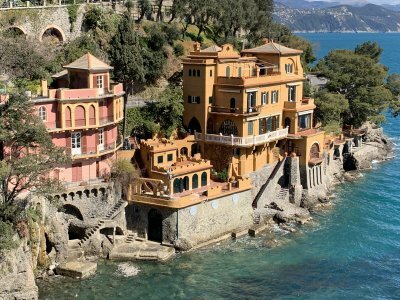 Portofino is known for its private villas some of which are shown in these photos. 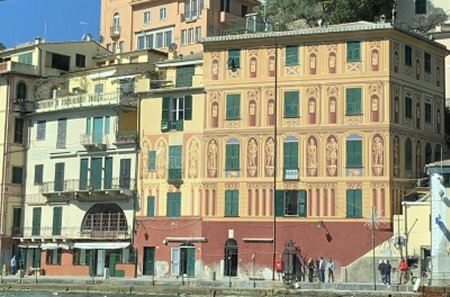 Loved this colorful painted building which faced the harbor of Portofino.